Out of milk? Don't have a cow! Be self-reliant with homemade ALMOND MILK. (It's easy & delicious)! Nut milk, especially almond milk, is a popular milk substitute that's fast and easy to make at home. (It takes less time to make almond milk than it does to milk a cow)! Do you want to be more self-reliant when it comes to MILK? 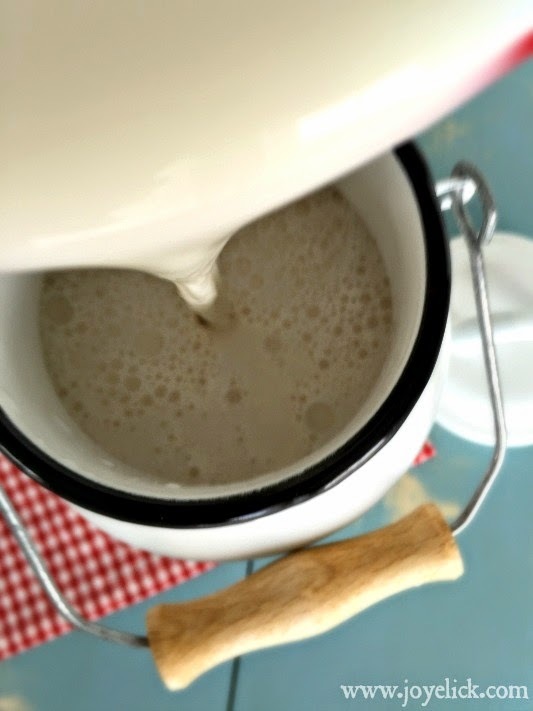 Whether you live in the city or the country, when you're homesteading or living off-grid, producing your own milk can be a challenge. Not everyone has the means or ability to keep a dairy animal, such as a cow or goat. Likewise, not every homesteader wants to house a dairy animal, even if they could. And some people just need to avoid dairy milk altogether for various reasons. That's where knowing alternative ways to produce milk at home becomes an important skill to learn. I make almond milk nearly every day, and it literally takes only about five minutes. 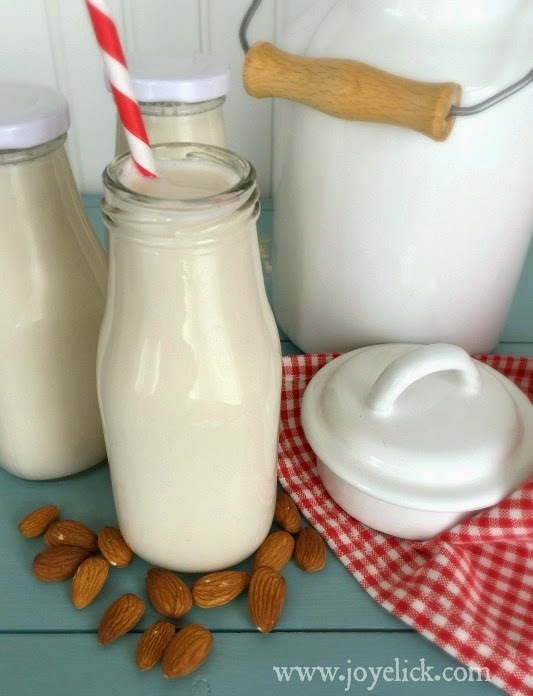 Homemade almond milk is rich and creamy and tastes fantastic! Far better than any store-bought versions I've tried, and far better for you, too. Are you curious? Want to give almond milk a shot? Then grab your apron, and I'll show you how it's done! Step 1: Soak almonds in water. 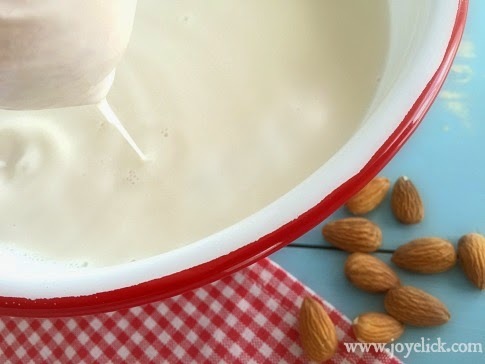 Almonds should to be soaked for at least 12 hours before they are used to make milk. Soaking enhances flavor and promotes a more creamy milk. Also, soaking is needed because almonds contain phytic acid which lends to problems absorbing the minerals offered in the nuts. Likewise, almonds contain enzyme inhibitors, that unless neutralized by soaking, make it difficult to digest the nuts, and to absorb their protein. Simply put, soaking your almonds helps make their nutrients bio-available to the human body. To soak your almonds, place them in a jar or dish and cover with 3 to 4 cups water. Add the salt to the water and soak for at least 12 hours. 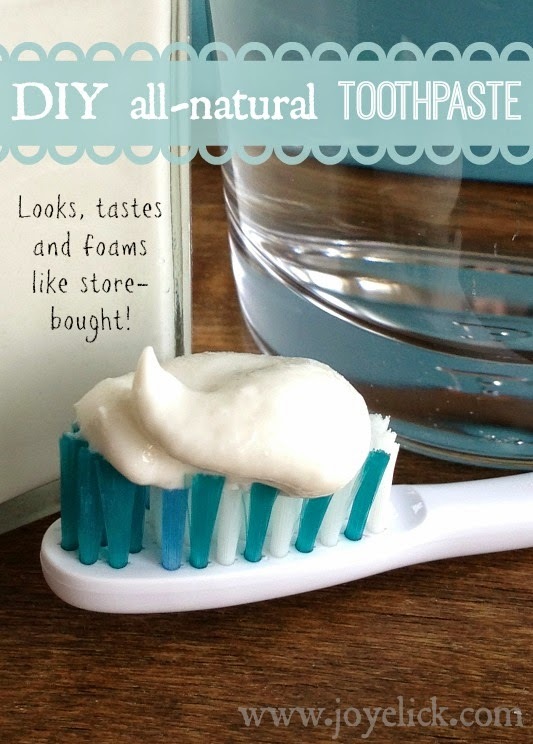 (I soak mine overnight). In case you're wondering, the salt is necessary as it helps break down the phytic acid and enzyme inhibitors. Step 2: Whiz almonds with water. Drain and rinse the pre-soaked almonds really well. Place them in a blender with the filtered water, then whiz on high for about 2 minutes. My blender doesn't hold the full 8 cups of water, so I split my nuts and water into two portions, and blend in two batches. Step 3: Strain milk from pulp. Using a nut-milk bag (or cheese cloth), pour the nut mixture into the bag. Let it drain into a clean bowl, squeezing to express all the milk from the pulp. (I joke to my family that it's like milking a cow)! For my nut-milk bag, I use a cotton sack that some twin-size sheets came in when I bought them a while back. It's the perfect size and shape. (You could easily make a cloth bag of your own if you want. Though you can use cheese cloth, if you're going to make almond milk regularly, you'll want a cloth bag. Cheese cloth is more difficult to use and it's not reusable once it's full of pulp). When you've thoroughly milked the bag, store the almond milk in something air-tight in your fridge. Use the milk within 1 week. For my milk storage, I use cute little milk bottles with lids (they travel well in lunches), and I have some larger milk jars, too, as well as a very farmhouse-looking enamel milk can I picked up somewhere. Almond milk is extremely good for you. Especially when made from raw almonds. One 8 ounce serving of almond milk contains about 35 calories (fewer than skim milk), 3 grams of fat, 1 gram of protein, and many vitamins and minerals (many of which are not found in dairy milk). Even the fat is good for you as it's un-saturated, which means it can reduce your risk of heart disease. Almond milk is a naturally low-carb food with a low glycemic index. That means almond milk is very good for people with diabetes as it can help support normal blood sugar levels. Almond milk contains beneficial minerals and nutrients. Almonds contain minerals such as manganese, vitamin E, selenium and potassium (to name just a few). Manganese helps the body utilize enzymes, as well as keeps bones and teeth healthy. Vitamin E protects cell membranes by fighting free radicals that can damage them. Selenium helps support the immune system, and potassium helps support normal blood pressure. These are just a few of the health benefits of almond milk. (Source). Almond milk, when made with only water and raw almonds, does NOT contain unwanted additives found in commercially prepared varieties. Want to know what else is in commercially made almond milk, besides the obvious almonds and water? Stuff like: calcium carbonate, tapioca starch, potassium citrate, carrageenan, vegetable oil, natural flavor (whatever that means) and added vitamins. Not everything in that list is bad, but what's all that doing in my almond milk? (Of course, some of the things listed really are bad, like carrageenan, which is highly inflammatory, and some studies show could even cause cancer). 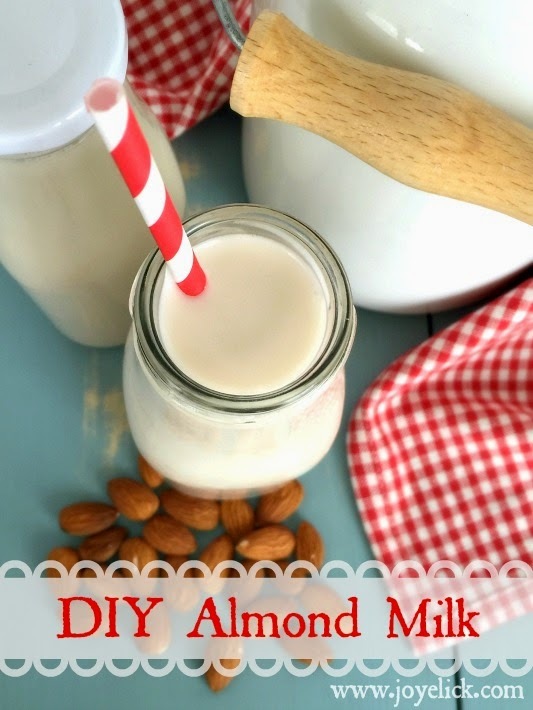 Homemade almond milk is one way to save money and be self-sufficient. Not only can you make milk from almonds, the almond pulp left over can be dried and made into almond flour, or made into almond butter. (We give some of our pulp to our chickens as one of their favorite treats. 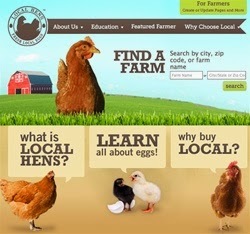 It's high in protein and provides minerals, including calcium which hens need to form good eggs). Almond milk is a low-labor way to produce milk. Compared to the work of milking a cow, making almond milk takes only about five minutes (once you've soaked the nuts). Plus, unlike the work involved in keeping a cow, almonds take just a few inches of shelf space, require no pastureland, no feeding (and they never stink or leave smelly pies on the ground to step in)! That's just a few of the benefits of raw almond milk, and hopefully, incentive for you to try making some today! LET'S CHAT: Do you make raw almond at home? Can you think of any benefits I missed in this post? I hope you'll share them in the comments below. Yay! Let us know how it goes when you do. how would you make almond butter with the pulp? What would you need to add? Hello Lynne, to make almond butter, you wouldn't blend with water and use the pulp. You would use whole dry roasted almonds (about 3 cups) on high speed in your food processor until it becomes almond butter. After making almond milk, you can, however, dry the almond pulp on low in you oven on a tray and then process in a food processor to make almond flour for baking.